the development of racing sidecar motor sports and by promoting a sound human training. Formed in August, 2001, the JRSA unites the ”Japan Racing Sidecar Union” (JRSU), supporting and promoting full-scale sidecar racing in Japan, and the ”Racing Kneeler Association” (RKA), dedicated to mini kneeler sidecar racing. 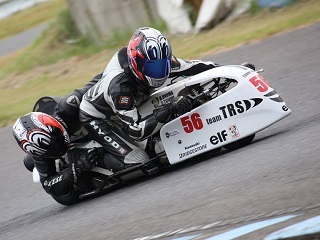 The JRSU has a history of more than 30 years and previously firmed as racing sidecar section of the ”Japan Sidecar Community” (JSC), inaugurated in 1968. The JSC became member of the British ”Federation of Sidecar Clubs” (FOSC) in 1973 in an effort to support international exchange among the members. The RKA was founded in 1997, with the purpose to promote, support and control 80cc mini-sidecar races in Japan. 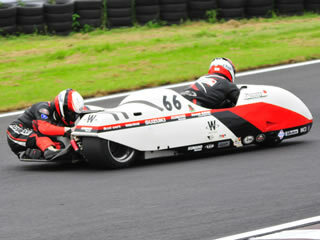 The first F4 sidecar racing championship was inaugurated in 1997. Copyright (C) JRSA All Rights Reserved.